Do you remember that show Kidstreet that was on TV here in Canada back in ’89? Three pairs of siblings compete with each other to win toys and other prizes, with points awarded based on how much the siblings know about each other. They sat in these little racecars. The thing I remember the most? They clapped over their heads, like the image above. 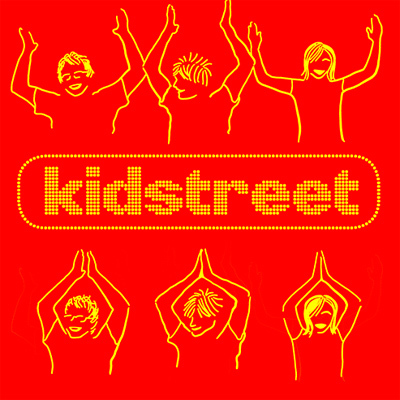 Kidstreet is also the name of a band from Waterloo, Ontario. Stacey from Vapor Music tipped me about them. Been really enjoying the songs I’ve heard online from this indie-electro outfit. Can’t wait to hear more. Or see how they do it live. Check out Spin Twirl, a song that builds from a computer voice calling out dance steps, probably how hoe-downs will be called in 2020. Want more, here’s nineteen ninety three.